and depression as well as the key steps to overcoming these conditions. In celebration of its twentieth year in publication a revised and expanded version of Living with IT iwas released in its anniversary year (2013) and Bev’s autobiography All of It, released in 2012 has been nominated for the 2013 Stella Award for Australian Women writers. In 2012 she was also a guest at the Brisbane Writer’s Festival, appearing in a panel discussion on What Makes us Happy? as well as conducting her solo presentation On Being Anxious. Bev’s workshops have assisted thousands of people to find relief from anxiety and allied conditions and the Commonwealth Rehabilitation Service (CRS) has frequently referred clients to her program. 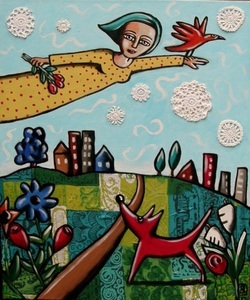 Her work is highly regarded by doctors, health professionals, counsellors and psychologists. 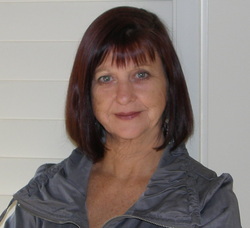 Bev has appeared in television and print media and has been a regular guest speaker at the annual National Conference on Anxiety Disorders for the past six years through Reconnexion (formerly Tranx) and has also conducted professional development workshops, seminars and presentations for those working in mental health, social welfare, general health and education. Her candid, demystifying and practical presentations have proven popular with audiences, with the experience a turning point toward recovery for some. Bev outlines the factors contributing to anxiety disorders and anxiety in general and gives an informative understanding of the key steps to effective management and recovery. Her lectures are at once enlightening, often amusing and above all, empowering. There is an art to developing anxiety and an art to overcoming anxiety. Anxiety in everyday and working life can take many forms such as performance anxiety, social anxiety, incessant worrying, work stress and financial and relationship pressures. Whilst everyone is subject to some degree of anxiety or depression as a result of life's ups and downs, for many people, anxiety can be an ongoing experience that is often hidden from view. In fact people with anxiety tend to be of the Type A personality,meaning they work hard to remain in control and thus in a professional capacity will be quite driven, perfectionist and hardworking, whilst inside they may be struggling to cope emotionally. Anxiety and depression have become almost commonplace in our high-pressure society with its heavy financial demands, precarious employment, the media fueling a need to be almost superhuman and technological communication often taking the place of meaningful and slower-paced human contact. Finding a balance can be difficult and no matter the degree of anxiety experienced, the side effects of ongoing and unresolved anxiety can take their toll over time, affecting concentration, resilience, productivity and presenting as physical and psychological issues such as irritability, disturbed sleep and undermined self confidence. Though it may seem strange to refer to anxiety as an art , it takes considerable and sustained focus on worry and fear, imagining the worst and being hard on oneself to manifest anxiety - 'skills' that we learn early in life which we may not have adequately addressed yet which inform our experience of all aspects of life. In its more extreme form, anxiety can produce quite overwhelming symptoms such as palpitations, hyperventilation, poor digestion, insomnia, panic attacks and a disabling sense of fear and dread. The art of preventing and managing anxiety involves learning how anxiety works, adopting healthier thinking skills and developing emotional resilience regardless of external pressures. These are skills that few of us are adequately taught in early life but which are essential to creating an emotional intelligence which ensures a sense of mastery, even in the most challenging of situations. In The Art of Anxiety at Work, Rest and Play presentation Bev Aisbett offers a unique approach to help participants quickly understand the nature of anxiety and the skills to prevent, manage and overcome anxiety. Based on her fifteen years of facilitating workshops and lectures, Bev brings her skills to bear in a unique and empowering format which speaks to a wide audience who wish to learn a better way to handle life's challenges. For further information or to book an Art of Anxiety at Work, Rest and Play presentation for your group or organisation please contact Bev through the contact form on this site.